Our family believes firmly in the reinvestment into our community. This is why we budget and allocate all of our marketing and advertising resources to our community organizations, schools, churches, and charities. We have taken great pride in being a leader in our community in terms of both financial and non-­financial philanthropic support. We do have a budget for all these types of donations, and will continue to do our best with supporting as many as possible. The most popular option is what we call Fireside Dine and Donate events. We pick a date that works for you (must be a Monday) and offer the Fireside as a revenue source for your organization. You would promote the event using flyers, social media, email, etc. The more you promote it, the better the turnout. 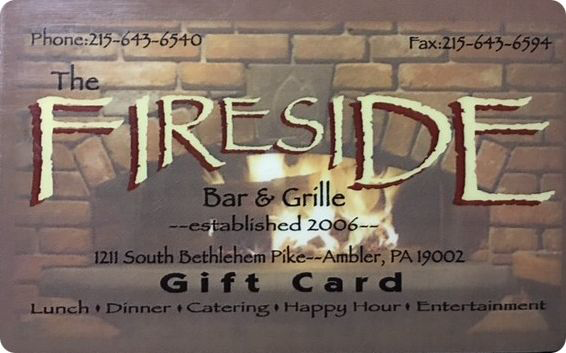 The concept is simple…any person that visits Fireside or orders take out all day (lunch and dinner) and mentions they are there to support your dine and donate, will have 20% of the total check (less alcohol and gratuity) donated back to your organization. There is no limit to how many you can do in a year, and the success of the event is dependent on your reach and promotion. Best part is, it costs you nothing and the effort involved is limited to the email or mail promotion of the event. We handle the rest! 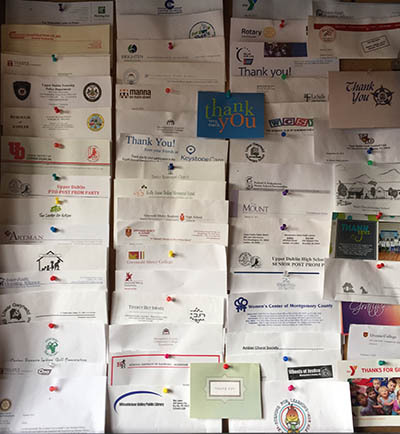 There are several organizations who have received hundreds and even thousands of dollars over the past 5 years by doing these events regularly. For more information on how to set up a Dine and Donate at the Fireside, please contact us. Fireside is now offering a gift card profit sharing program for your organization! Earn money for your team, church, school, or charity by simply selling Fireside gift cards. We will sell your group $25 gift cards for $20. Your group then sells them for face value and keeps the $5 on EACH CARD! That is 20% return for your group!!! For example, if $1000 in gift cards are purchased under this program, $200 goes to your group while $800 goes to Fireside for the cards. This offer ONLY applies to charities, schools, local sports teams, etc. Minimum purchases required. Contact us to set up your next fundraiser. There are other opportunities, which include beef and beers (off-site) that we can cater and other events that we can tailor to meet customer needs and fundraising goals.